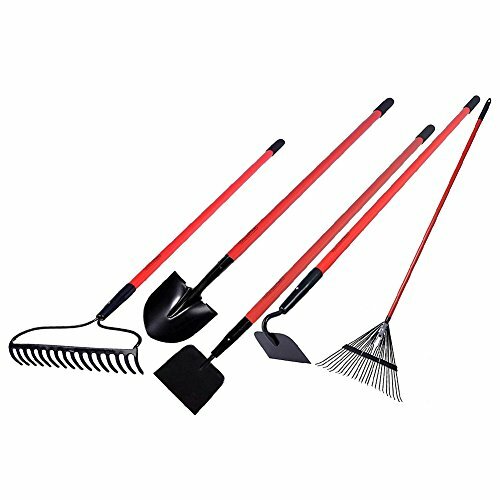 The Rake is with 48"durable Vinyl Coated steel tube handle and 7"head dimension.The Rake is with maximum strong for raking grass and leaves.The Scraper is with 42" tri-fiberglass handle and 7"x5" one-piece forged blade.The Scraper is with shank pattern of intense and continuous use. We are OEM factory, and we do contract manufacturing for many famousbrand. Own brands are: KYLIN, GardenAll. If you purchase more than 500pcs, we can customize for you. Ourfactory has been assessed and certified as meeting the requirements of ISO9001:2008. This ice scraper is a sturdy tool for an exceptional value. Use prior to shoveling driveways and walkways to help preserve your snow shovel blade. This versatile scraper can also be used to remove roofing, siding and flooring or to chop and remove roots or other garden debris. SUPER SPECIAL OFFERS!! If you want to buy a few garden tools and save money,this garden tools kit is your best choice. 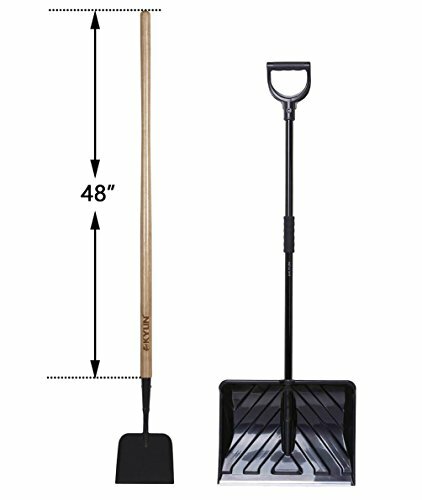 It can help you to save at least $30 by comparison to buy them one by one.shovel,Round Point ,with 42'' Tri-fiberglass Handle.The dimension of shovel blade:8.3/4''x11.3/4''. 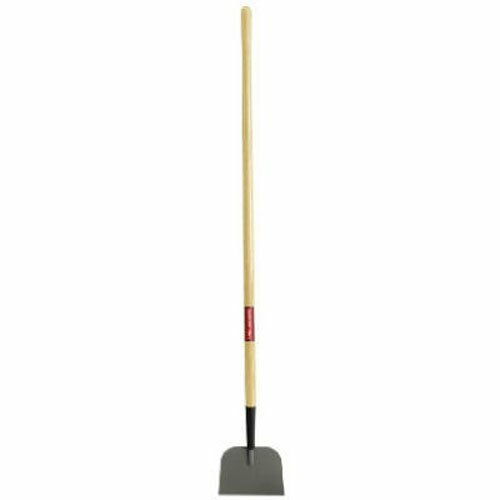 Hoe,6.1/4"X4.1/4" blade, 51" fibreglass handle. 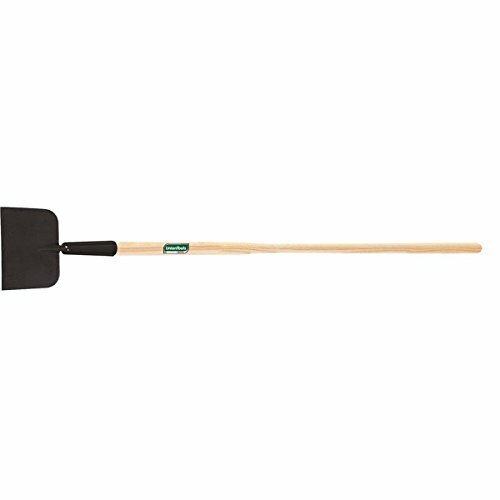 Bow rake:16.3/4"x3.1/2" head, 54" tri-fibreglass handle. Steel rake:Rattle-free channel locking system keepstines firmly in place. forged sidewalk scraper,shank pattern We are OEM factory,and we do contract manufacturing for many famous brand.Our own brands are:KYLIN,GardenAll. If you puchase more than 500pcs,we can customize for you. Our factory has been assessed and certified as meeting the requirements of ISO 9001:2008. ASTM E1613 Lead Test ASTM E1645 Dry Paint Test ASTM B117 Salt Spray ASTM E18 Rock Well Hardness Head Strength Static Load Test Handle Cross Beam Test If you want to puchase directly from the factory,and buy a low-price quality garden tools,we will be your best choice.PLEASE REMEMBER KYLIN AND GARDENALL WE FOCUS ON TOOLS,WE MANUFACTURE TOOLS,AND WE ONLY MANAGE TOOLS. 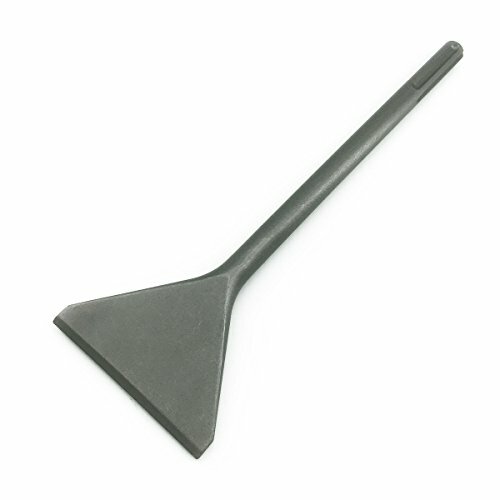 This scraper is a sturdy tool for an exceptional value. It can be used to scrape ice from sidewalks, driveways and other floor surfaces. Use prior to shoveling to help preserve your snow shovel blade. This versatile scraper can also be used to remove roofing, siding and flooring or to chop and remove roots or other garden debris. Specialist Tile & Thinset Scaling Chisel (4.5" x 14") Attention: This scaling chisel is for 3/4" shank SDS-Max hammers. It does not fit into SDS-Plus hammers and Spline hammers. Please check your tools very carefully before purchase Package quantity: 1 piece Product length: 14" (350mm) Blade width: 4.5" (115mm) Shank: 3/4 inch standard SDS-max shank Material: high quality hardened steel alloy, one-piece design, drop forged body with a sandblasted finish Practical, high efficient and durable professional tool, perfect choice for removing and cleaning tiles, thinset, mortar and other stubborn adhesives. Ideal tool for foyer floor, kitchen and bathroom renovation used by home owners and professional contractors. The Stiff Red Original Drillbrush Power Scrubber paired with our 5-inch large diameter flat brush are the perfect cleaning tools for around the patio, garden, and deck. Clean concrete, bird baths, and restore garden statuary. 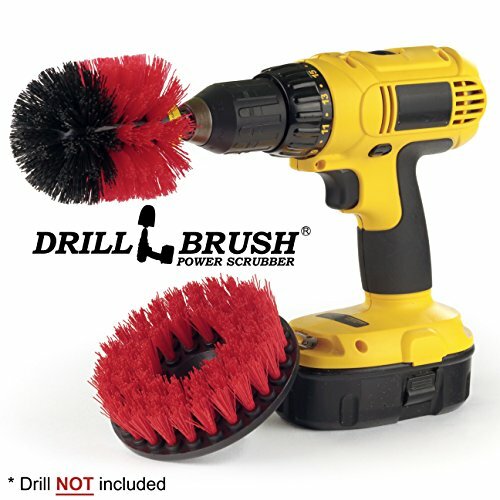 Drillbrush was established in 2007. Our brushes are professional quality and have been tested and approved by commercial cleaners, marinas, detail shops, and other cleaning professionals. All Drillbrush Products have a 90 Money back guarantee. 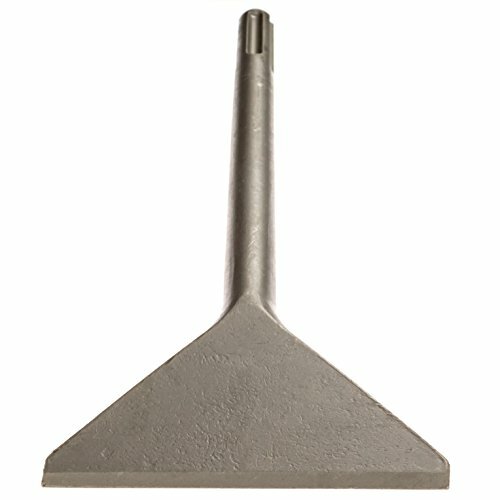 Looking for more Shank Sidewalk Scraper similar ideas? Try to explore these searches: Finest Single Malt Scotch, Warner Brothers Batman, and Souvenir Wine. Look at latest related video about Shank Sidewalk Scraper. Shopwizion.com is the smartest way for online shopping: compare prices of leading online shops for best deals around the web. 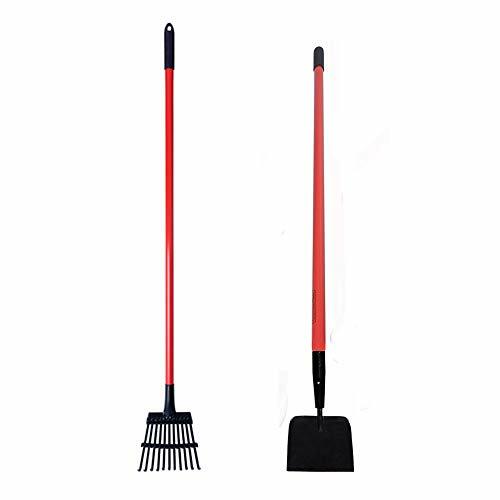 Don't miss TOP Shank Sidewalk Scraper deals, updated daily.